While Champaign-Urbana has been an epicenter for AgTech startups to flourish, the Illinois University Incubator Network was able to leverage that expertise to help a Peoria-area startup take the next step from dream to reality. Based in Tremont, Ill., Digital Dipstick founders, Travis Cage and Allan Dikeman, are addressing some problems facing farmers who use large engine equipment: How do you efficiently monitor engine fluid levels to prevent costly damage resultant from leaks or otherwise low fluid? 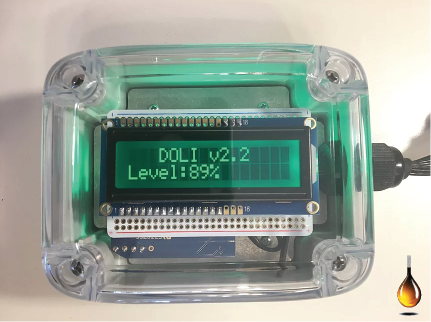 Digital Dipstick developed a sensor, the Digital Oil Level Indicator (DOLI), which monitors lubricated components like diesel engines and hydraulic pumps. This tool provides machine operators real-time information that can avoid catastrophic engine failure. Cage and Dikeman had know-how and a solution to a problem they knew large engine owners were experiencing but they did not have the funds to deliver the solution. The team was advised to contact the University of Illinois Research Park’s incubator, EnterpriseWorks, which hosts the Illinois University Incubator Network. There Digital Dipstick received assistance through two programs designed to help entrepreneurs from communities in downstate Illinois. First, Digital Dipstick tapped into Shared Services through EnterpriseWorks. This program puts together interdisciplinary teams of University of Illinois students to do short-term projects for qualifying entrepreneurs. Cage and Dikeman received business strategy advice on customer discovery using phone surveys and product market fit which they then used in their SBIR grant application. Anna Lisa Somera is one of the SBIR Assistance Consultants who helps guide startups in the EnterpriseWorks SBIR Assistance Program. The EnterpriseWorks SBIR Technical Assistance program provides experienced consultants to help clients prepare and submit SBIR grant applications. With a tight 4-week timeline to complete a proposal for the intensely competitive award, they tapped into the SBIR Technical Assistance Program to help. Dikeman, himself, recalls “it was a long shot” and that their SBIR Consultant, Anna Lisa Somera, was essential to their success. The $224,000 they’ve been awarded provides funding for a six-month feasibility study. They can later apply for Phase 2 additional fund, which can amount to more than $750,000. 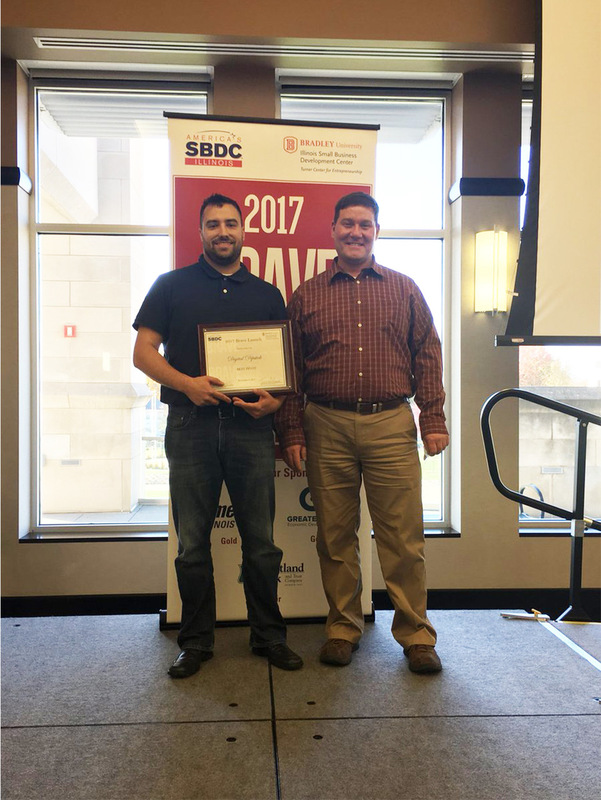 The Digital Dipstick team approached EnterpriseWorks after benefiting from two local programs in Peoria, including the 5-week Keystart program sponsored by the Greater Peoria Economic Council and Bradley University’s Brave Launch business accelerator. The Brave Launch business accelerator program focuses on customer research, which helped Digital Dipstick learn that their customers were looking for something a little different. With that knowledge, they adapted and won the Brave Launch pitch competition’s Best Pivot award. The program, Dikeman stated in our interview, “set us up really well for the NSF seed fund through SBIR” which they applied for with University of Illinois Research Park support. Allan and his partner were very happy to have found in the Greater Peoria area “a stellar startup community” with mentors and resources that helped them adapt. The services Dipstick Guy utilized took the company from a “zero-business-experience” situation to an “all-star-business-know-how” scenario. Find the people in your area who are already business experts, who have already been through the trials and tribulations. If you are young, I suggest moving to where ever that hub is.